This book establishes the central importance of London for the development of the modern retail market in fine art. By tracking the emergence and development of the commercial art gallery, the professional dealer, the exhibition cycle and its accompanying rhetoric of press coverage and publicity, and an international network for the circulation of goods, this volume reveals the critical role played by the London market in establishing structures and practices that have come to characterize the commercial art scene today. 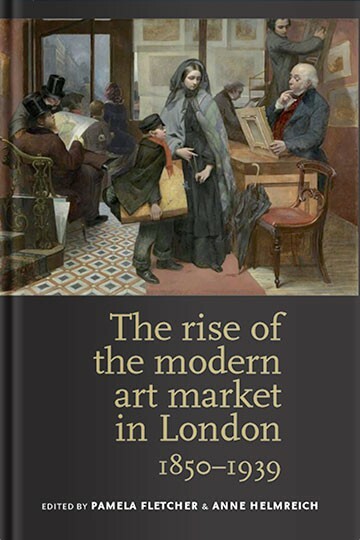 The introduction offers a synthetic overview of the London art market 1850-1939. The following case study analyses investigate the infrastructure of the London art market and its changing cultural geography; the connections between the art market and the art press as well as the museum (both in the UK and the colonial context); and the complex career maneuvers of artists – including the Pre-Raphaelites and women artists—navigating this new cultural terrain. The volume includes a glossary of commercial art galleries and dealers, information never before assembled in one source. This new commercial system involved a massive transformation of the experience of viewing art; of the relationships between artists, dealers, collectors, art objects and audiences; and of the very criteria of aesthetic value itself. Its history is thus a vital part of the history of modern art, and this anthology will be of interest to art historians as well as scholars of Victorian studies, museum studies, and social and economic history.